You spend decades living down the movie. You endure the bad sequels. You shudder when a remake premieres at local cinemas (and breathe a sigh of relief when it bombs). You never know when someone will throw out a joking reference to it that makes you cringe. Sometimes you preempt the jokes by making them yourself. Especially when inviting guests to stay at your home. Apparently, this prequel debuts March 18 on the A&E network. And, with that, there’s only one thing left to say: Hope it dies as swiftly as Janet Leigh’s character, Marion Crane, in the original Hitchcock movie. 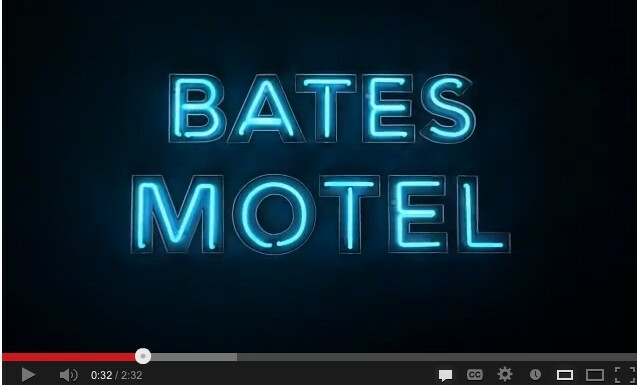 This entry was posted in Photo Blog and tagged Bates Motel, Psycho by Vickie Bates. Bookmark the permalink. I’ve only read mentions of the fact that this is being rebooted as an A&E series, which starts tonight. No reviews yet. Perhaps they don’t want to spoil it. It looks a bit like “Twin Peaks,” and they’ve managed to secure some heavy-hitter actors, like Vera Farmiga and Freddie Highmore, who plays the young Norman. This is the first that I’ve seen the trailer and the one thing I have to say about it is that the young Norman Bates DOES look a bit like Anthony Perkins might have looked as a boy! Have you heard any reviews of the movie yet? Has Roger Ebert reviewed it?